Dispossession: The Great Social Housing Swindle is a feature documentary directed by Paul Sng (Sleaford Mods – Invisible Britain) and narrated by Maxine Peake, exploring the catastrophic failures that have led to a chronic shortage of social housing in Britain. 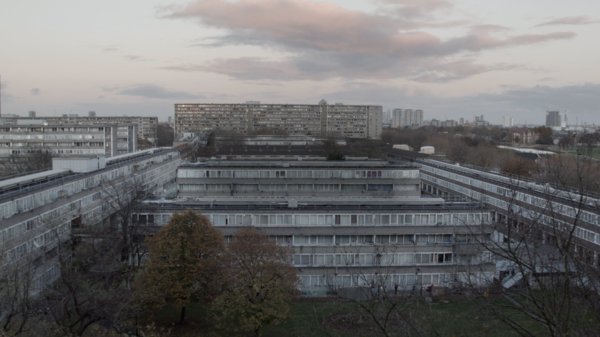 The film focuses on the neglect, demolition and regeneration of council estates across the UK and investigates how the state works with the private sector to demolish council estates to build on the land they stand on, making properties that are unaffordable to the majority of people. Dispossession is the story of people fighting for their communities, of people who know the difference between a house and a home, and who believe that housing is a human right, not an expensive luxury. The film will be introduced by director Paul Sng and then followed by a panel looking at housing in Bristol in the future and what can be learned from other cities resulting from recent research visits to Amsterdam and North America: Oona Goldsworthy (United Communities), Jackson Moulding (Ashley Vale Action Group), Cllr Paul Smith (Bristol City Council). Explore the key issues for the future of our cities with this three day festival bringing together a wide variety of people to discuss, debate, and learn.